Lirik Lagu "You, Clouds, Rain (비도 오고 그래서)" dari Heize. Lagu ini ada di Album /// 3rd Mini Album yang didistribusikan oleh label CJ E&M. Berikut cuplikan teks lagunya "bido ogo geulaeseo ne saeng-gag-i nass-eo saeng-gag-i naseo…". I’m the dumb guy who hurt you. I do not deserve to be in your arms again. 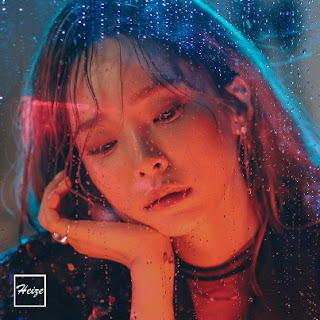 Disclaimer : Blog ini tidak menyediakan link Download lagu Heize (헤이즈) – You, Clouds, Rain (비도 오고 그래서) mp3. All song lyrics on this website is copyright / property of the authors, artists, bands and music labels are concerned. all materials contained in this site including the lyrics of the song are for promotional and evaluation purposes only.